The Spaniard had hoped to be able to feature at the O2 Arena, with the ATP Tour Finals one of the few major prizes in the game to elude Nadal, with the left-hander having lost in the final in both 2010 and 2013. However, having been troubled by an abdominal problem at the Paris Masters, Nadal has now opted to get his ankle fixed in the hope that he will be in good condition for the start of the 2019 campaign. He posted on Twitter: "It has been a complicated year, very good at the tennis level when I was able to play and at the same time very bad as far as injuries are concerned. "I have done everything possible to reach the end of the season in good condition. "Unfortunately I had an abdominal problem in Paris and I also have an issue in the ankle that had to be removed in an operation. "It is true that we had detected it a long time ago and from time to time it bothered me. However, since the problem in the abdominal muscle also prevents me from playing in London, we take advantage of the moment to remove the free body (in the ankle). "In this way I hope to be in good condition for next season." 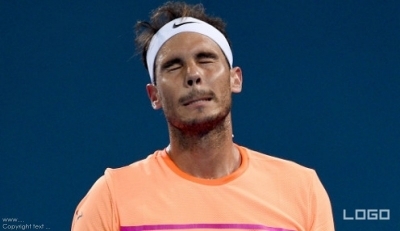 Nadal is the second player to be forced to withdraw from the action in London, with Juan Martin del Potro unable to feature as he continues his recovery from an injury to his right knee. Kei Nishikori stepped in to replace Del Potro, while American John Isner is the player to take the place of the stricken Nadal. The elite eight-man field is now comprised of Novak Djokovic, Roger Federer, Alexander Zverev, Kevin Anderson, Marin Cilic, Dominic Thiem, Nishikori and Isner. Meanwhile, Nadal is 11/2 to win the 2019 Australian Open, with Federer priced at 4/1 and Djokovic 11/8.